Dr Murdoch (or Murdo) Dallas [1774-1816], the son of John Dallas, an Inverness merchant, was apprenticed to Dr Robertson of Inverness, qualified with the Royal College of Surgeons in 1774 (Caledonian Mercury, 3 April 1794) and later practiced in Berbice. In 1808 Dr Dallas of Englishton, Inverness - presumably the same person - placed an advertisement in the Inverness Journal seeking two young men willing to emigrate to the West Indies as overseers; and in 1809 a further advertisement appeared for ‘two young mill & wheel wrights’. In 1812, his cotton plantation Letterkenny on the Corentyne coast was threatened by a sale by judicial order, at the instance of Douglas, Reid & Co, to cover his debts. [Edinburgh Gazette] However, in 1817 the plantation, with 91 slaves, was still in his name in the register of slaves. Murdoch Dallas married Helen Grant [1788-1870], from Boleskine, Inverness-shire. Their first son, Peter Grant Dallas, was born about 1808 and died in Cambay, India, in 1842. A second son, John, was born in 1811 (perhaps in Berbice) and died in Inverness in 1820 (Inverness Courier, 27 April 1820). Their daughter, Margaret Fraser Dallas, born in Berbice in 1812, returned to Inverness and died there in 1866. Arbuthnot Dallas (1815-31 Dec 1848) died in India. Alexander Grant Dallas [1816-1882], who was also born in Berbice, was educated in Inverness and later married [9 March 1858] Jane Douglas, a daughter of the mixed-race Berbice-born governor of British Columbia, James Douglas. 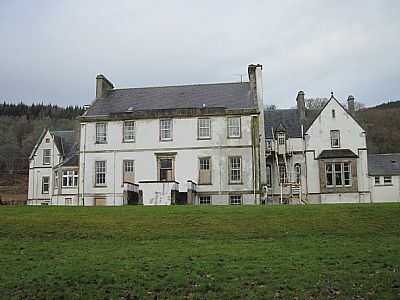 The couple bought the Dunain estate, near Inverness, c1872 and remodelled and extended Dunain House. 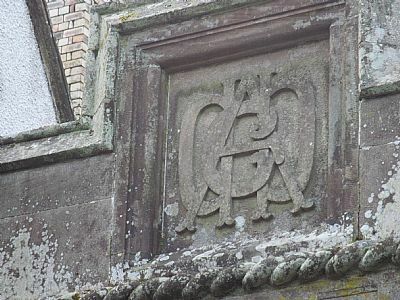 Dunain House, Inverness, with monogram of Alexander Grant Dallas - acquired and extended with a fortune acquired in Guyana, China and Canada.